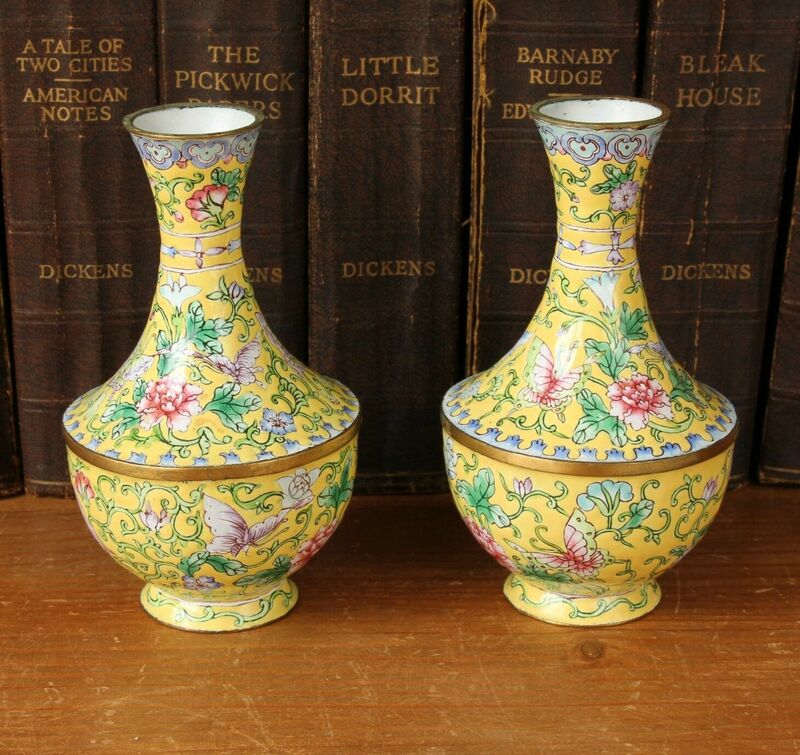 Pair Small Chinese Famille Rose Enamel Baluster Vases. 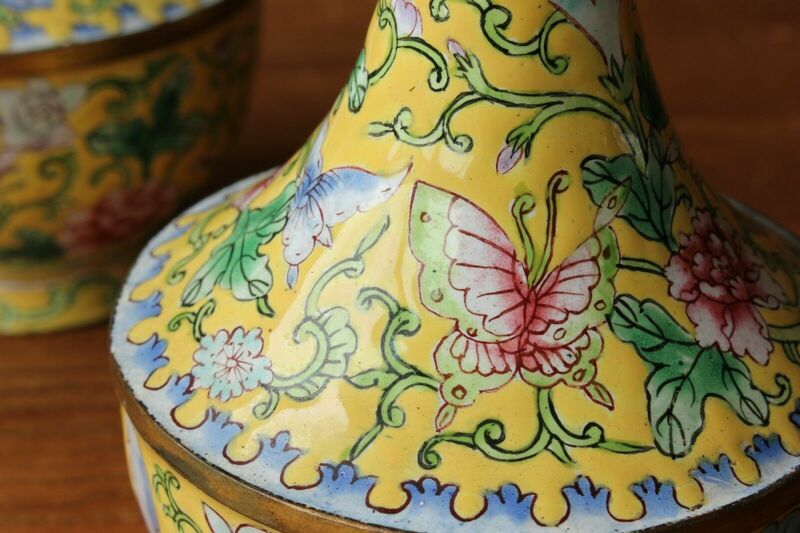 Yellow Flower Butterflies. 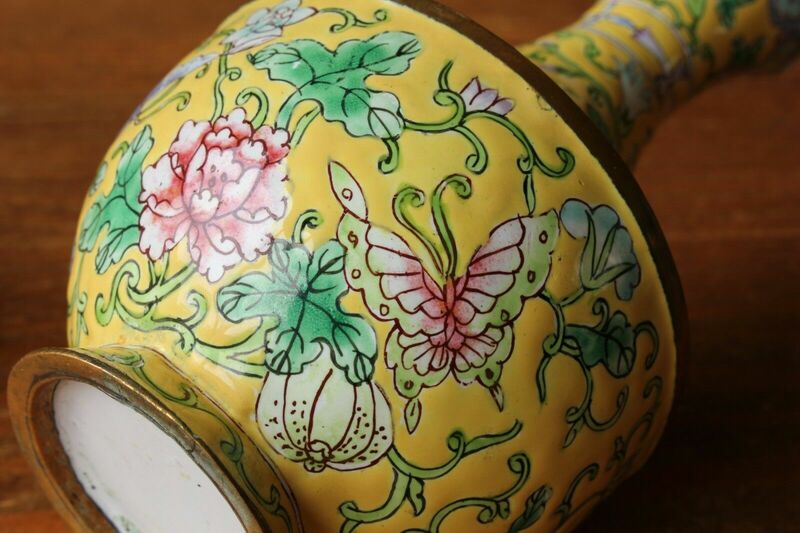 This stunning pair of early 20th century Chinese Famille Rose enamel baluster style vases with a yellow background are beautifully decorated with butterflies and flowers. 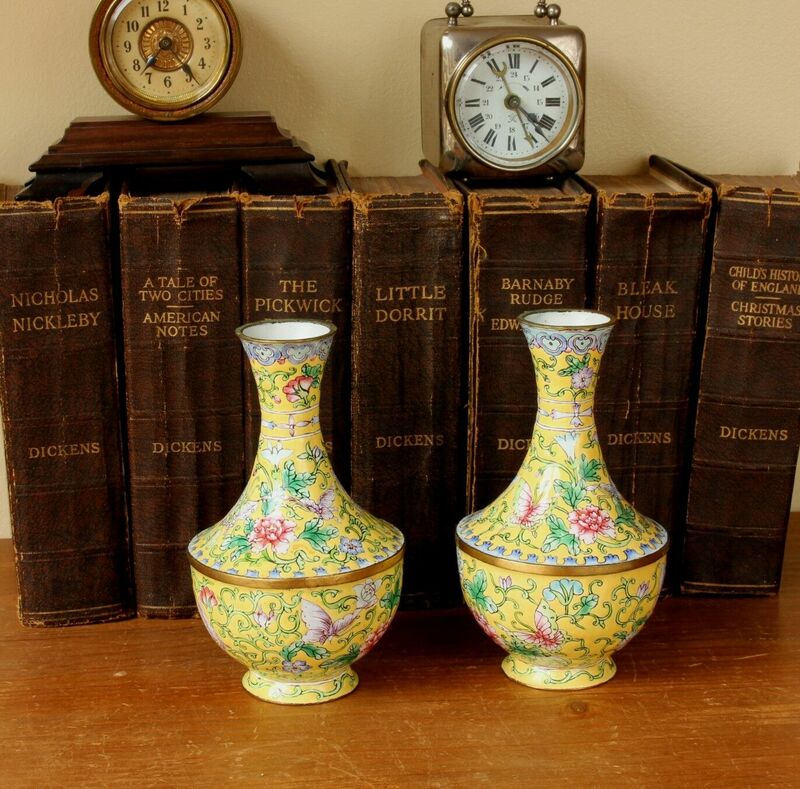 A fine pair of quality antique vases that are in nice condition and look wonderful on display. Period: Early 20th century - c1910 (Late Qing/Republic period). 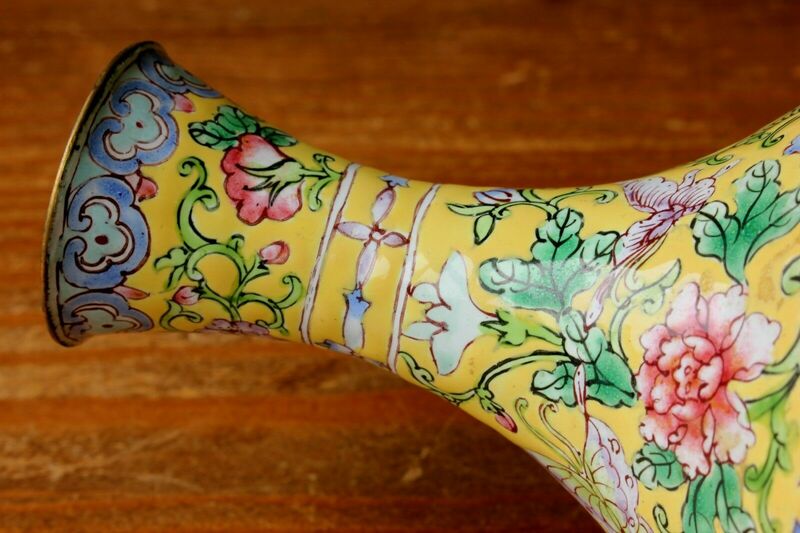 Size: Height - 14 cm (5 1/2"). Condition: Very good antique condition with signs of use in keeping with age. 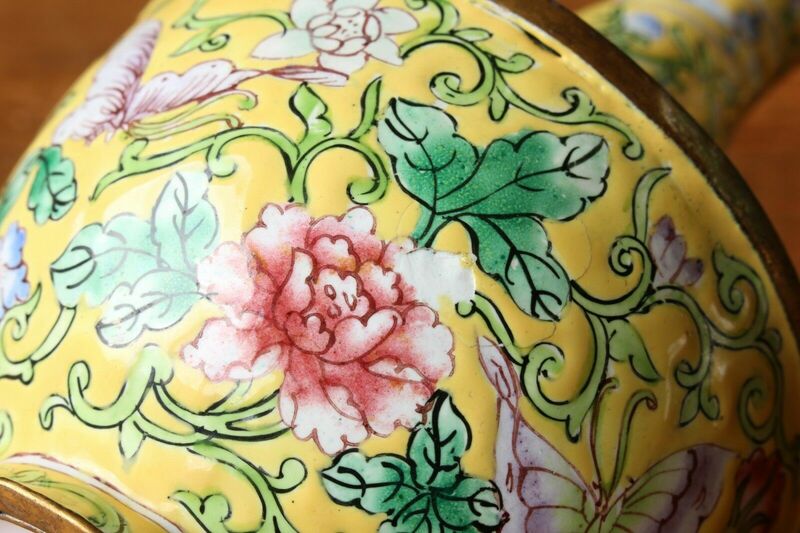 A couple of small surface chips as shown in picture 5 but this does not distract from their beauty. Please see pictures.